WhatsUp Gold allows you to monitor your wireless infrastructure performance historically and in real-time, track wireless access points (AP) and client history and alerts you to problems with wireless equipment. WhatsUp Gold keeps you in control of your wireless network with real-time maps of who is connected to your network and where. You have the ability to manage and exclude wireless devices identified as possible rogues. 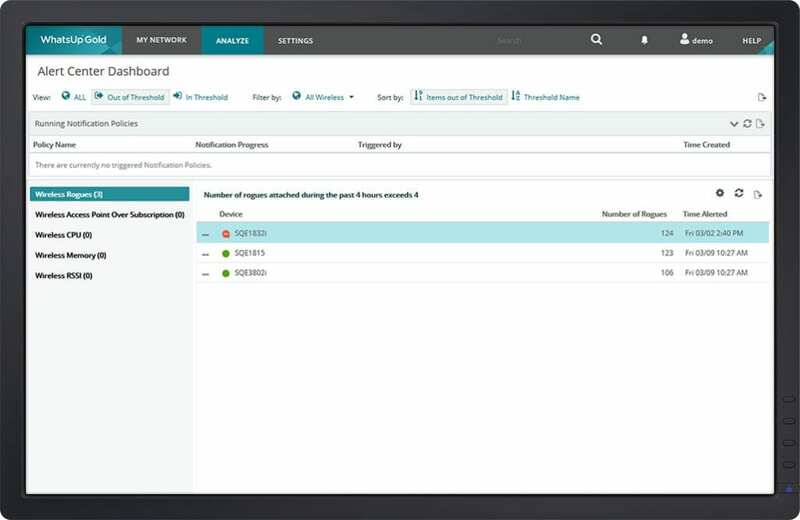 Performance data is stored historically so you can go back to a specific point in time to troubleshoot a problem. 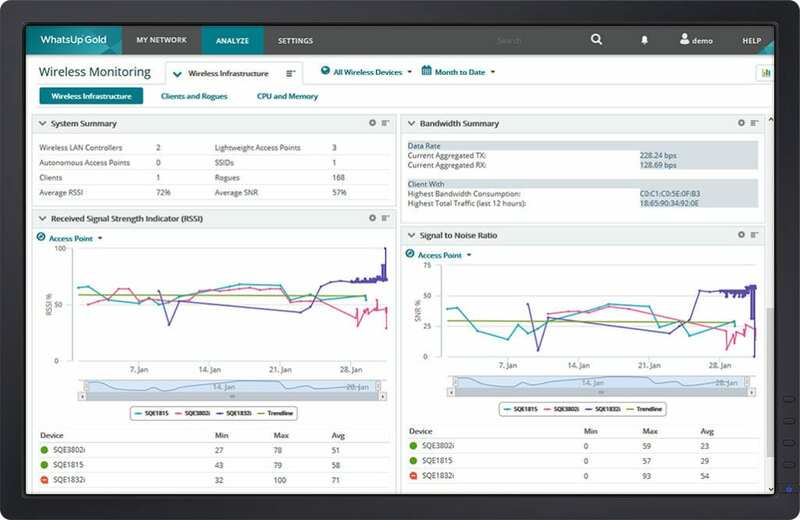 View performance over time to optimize your wireless configuration by using client signal strength to determine where you need more wireless APs, if a wall may be limiting an AP’s range or if equipment is functioning properly. All wireless monitoring alerts are integrated into WhatsUp Gold’s Alert Center. 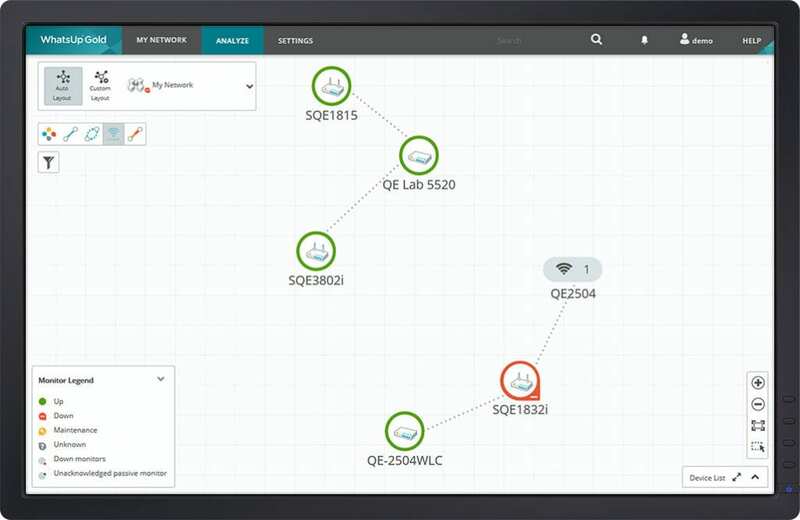 You have one location to set up thresholds, configure notification policies and monitor events across your entire IT infrastructure. Within Alert Center, you have a number of user-configurable alert thresholds for wireless devices such as Access Point Over Subscription, Banned Client MAC Addresses, and more.